As much as you don’t like to talk about it, your septic tank is a part of your home and requires routine maintenance, much like any other large appliance. However, if you neglect your septic tank and a problem arises, it could lead to costly repairs for both your home and your lawn. To avoid these issues, you need a septic tank company that you can trust. 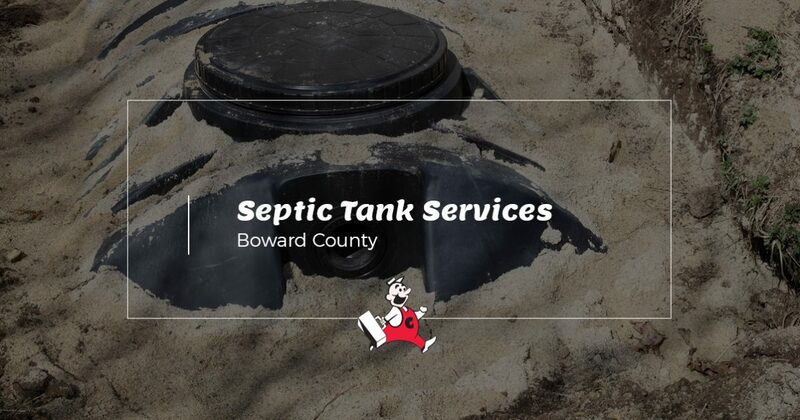 As the Top Rated Local® septic cleaners of Broward County, the experts at Coker Septic are proud to offer a variety of septic services for both homeowners and small businesses. Ensure that your septic system is running smoothly by scheduling an appointment with Coker Septic today! In our business, we leave no stone unturned, so if you’re in need of our septic services, contact Coker Septic to get started now. Don’t wait until it’s too late. Contact Coker Septic in Broward County to schedule your appointment today!